It is perhaps the largest single action taken against a manufacturer of herbal sexual enhancement products. On August 10th 2010, the FDA announced the voluntary recall of 21 different dietary supplements. At issue was the presence of an unlabeled drug called sulfoaildenafil. This compound is an unapproved analog of the popular erectile dysfunction medication sildenafil (sold worldwide as Viagra). It is a research chemical of unknown properties, which has not been subject to FDA evaluation or gained market approval. The drug was reportedly uncovered during testing by an FDA lab. After notifying the company of the product, a voluntary recall was initiated. Consumers are warned not to consume the adulterated products (listed below), and to contact the store they purchased them from immediately. The company cited in this recall is TSN Labs of Midvale, Utah. The firm sells their own line of products through national distribution, and also appears to work as a contract manufacturer. This means that they make products for many other companies under their own labels, a common practice in the dietary supplement industry. A quick review of the products listed will show many different companies market them. 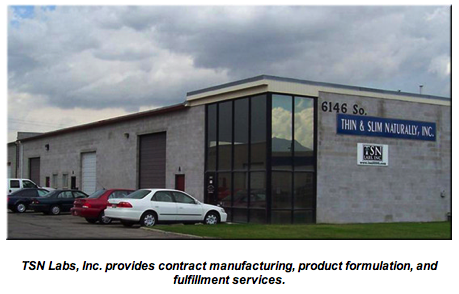 TSN Labs professes to make the testing and quality assurance a major selling point. Their website boasts of careful testing of all products, a practice that apparently was not sufficient to catch the adulteration of 21 separate products. Regular readers of my columns and blog will notice that drug spiking has been a persistent problem within the dietary supplement industry. We can only speculate as to why. Strictly speaking of product efficacy, spiked products often tend to create very happy customers. The Viagra analogs tend to work very well at supporting erections, far better than natural herbal formulas. While including unapproved new drugs like this is technically a crime with strong legal consequences, the FDA has historically been very weak with its response. Typically, there is only a product recall offered. It becomes a financial issue for the manufacturers, not a criminal one. Thus, some would argue that many of these companies have been intentionally adulterating their products to increase business. I cannot comment specifically on what was happening in this case, nor any others. Until such time as we do see a major criminal case and proof is presented to the public, only the manufacturers know what is going on for sure. It could legitimately be an issue with raw material supply that the manufacturers were unaware of. With 21 products found to contain this drug spiking in this case, however, one does naturally wonder how such error could take place. Only TSN can answer this for sure, of course. TSN Labs has not been contacted to comment on this report. I am a very big fan of Mr. Llewellyn’s work. I only recently heard of him after diving headlong in the research supporting his involvement with Halodrol liquigels. I am stumped as to why my GNC store does not carry his product Test Factor. Please contact me at your earliest convenience!